For website design in New York look to Emerger Media. We offer web, SEO, social media makreting and more to small and medium businesses in New York. Take Big Ear N.Y.C. Located in Brooklyn, New York. 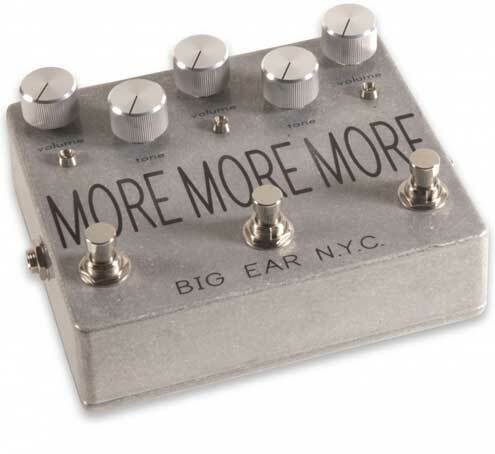 Big Ear N.Y.C. creates boutique guitar pedal. Their product line consists of pedals with unique sounds and equally unique names like Chaka, Loaf, Woodcutter and Elle. To continue to grow market share they reached out to Emerger Media for help. We designed a custom website with an integrated eCommerce solution to help them sell their pedals online. We also helped them to integrate their social media channels which was critical to their marketing success. Visit Big Ear N.Y.C. at www.bigearnyc.com. If you want to learn more about website design in New York and other services from Emerger Media, fill out the form below to get a free quote and we will be in touch right away. Interested in website design in New York? Fill out the form below and we will give you a detailed quote.